Porsche Passport vehicle subscription service allows you to experience multiple Porsche vehicles as your needs change. An alternative to car ownership or leasing; insurance, maintenance, cleaning, taxes and unlimited flips are included. Always have the perfect Porsche for the moment. Currently available in Atlanta, GA. It's simple to sign up and get started. 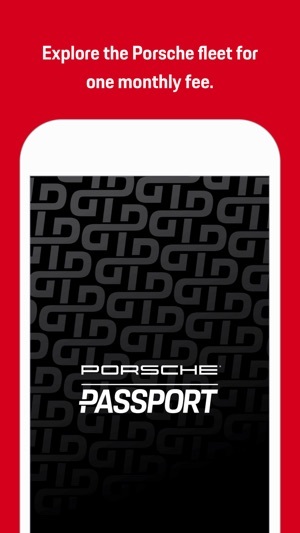 ACTIVATE PORSCHE PASSPORT: Sign-up for Porsche Passport via the app in a few minutes. There is no commitment beyond an initial 30-day term. 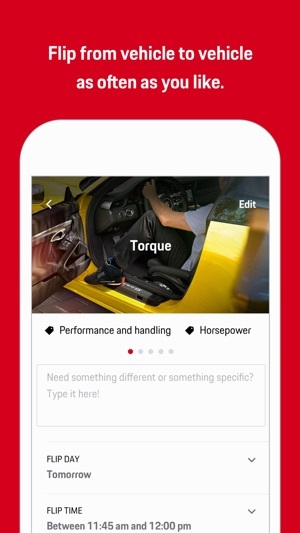 MANAGE YOUR SERVICE: Use the app to select vehicles from the Porsche model range. We will deliver a vehicle from your selected package to your home or office. 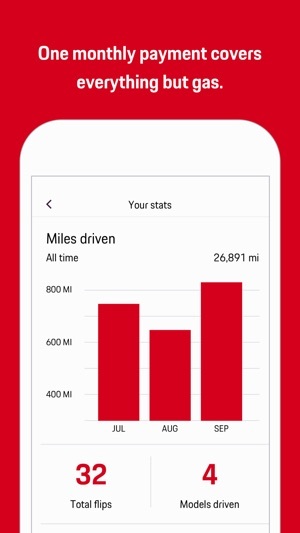 ORGANIZE YOUR TOP FLIPS: Create your ideal flips that meet all of your needs: everyday errands, weekend road trips, and nights out. 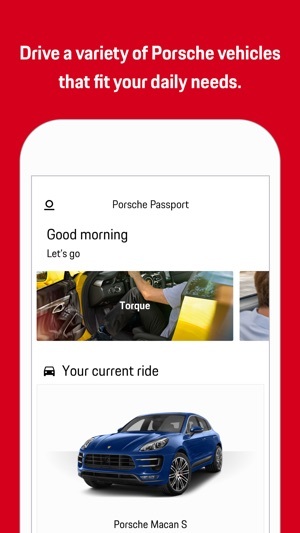 COMMUNICATE WITH PORSCHE PASSPORT: Use the app to work directly with Porsche Passport concierges who will customize and facilitate your vehicle experience. This app release includes a number of improvements to the new member sign up process. And a few bug fixes. Fantastic. Even if it's not in Chicago- yet.